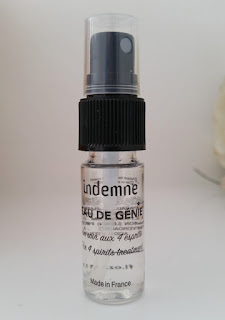 Indemne's Eau de Genie is a 100% natural facial mist that contains four organic waters (grapefruit, tomato, lemon and apricot) to "supercharge" your skin and boost the effects of your other skincare products. To use, you need to spray it onto the face from 6-8 inches away (and don’t forget to keep your eyes closed as you do it!). Wipe off the excess with a cotton wool pad. For me, this is one of the stand out products this month. I absolutely love products like this thanks to the way they make the skin look and feel and this one is a winner in my book. The skin instantly feels softer and looks brighter... And it really is as simple as that! I love it! You can purchase a full-size bottle of Indemne Eau de Genie for £11.20/135ml from Birchbox. The Unani Aloe Vera Gel is a super-hydrating gel that helps to heal the skin. It contains aloe vera and is non-irritating. It can be used on a variety of different skin issues, ranging from sunburn to blemishes and eczema to bites. I find this gel to be incredibly soothing. It's particularly good after shaving, especially if you're prone to post-shave irritation. As well as helping to heal, it leaves the skin feeling nice, soft and calm. I have had some great results with this and I can completely see how it fits with the theme of this months box! Everybody experiences the occasional skin irritation from sunburn to shaving rashes, and this gel is a very handy product to have to hand when they happen. 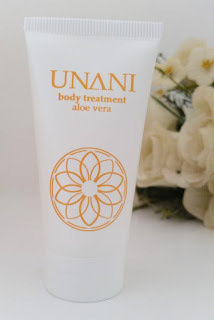 You can purchase a full-size bottle of Unani Aloe Vera Gel for £15 from Birchbox. Every subscriber this month has received a small tube of Benefit’s Dream Screen, a mattifying SPF 45 for the face. Sun protection is something that can easily get forgotten, but the consequences of that can be dangerous. However, sunscreen can leave the skin feeling greasy, so it isn't something that people particularly enjoy putting all over their face! Now though, there is no excuse to not apply it when you have this little product to hand. Simply apply it underneath makeup and it dries matte. Makeup then also sits on top of it beautifully. It's even great for those of us with oily skin and it also doesn't cause breakouts or irritations, so no more excuses! Get your sunscreen on! 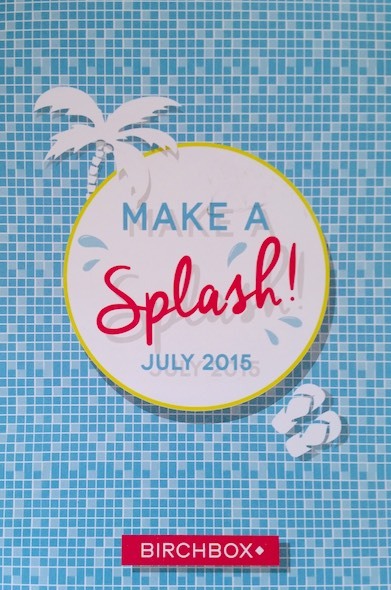 You can purchase a full-size bottle of Benefit's Dream Screen for £25/45ml from Birchbox. Some subscribers have received a Soigne nail polish this month and I have received the shade Fruit de la Passion, a beautiful peachy-pink. I find the formula to be quite thin (like with my bottle of Creme au Beurre), meaning that it did need a fair amount of coats. Against what I said about my other bottle of Soigne Nail Polish though, the brush has grown on me somewhat. I wasn't a huge fan last time but with practice I've come to rest in the other camp. Before I go into detail, I have to admit that I had a pretty difficult time managing to get this to photograph true to colour. I'm not sure why this is, but I tried different types of lighting to no avail. The photograph of the bottle captures the colour well, but the on nail photos just weren't having it. The colour does look the same on the nails as it does in the bottle. The photo above isn't the best, but it is the photo that I felt was closest to the true colour as possible. I found two coats to be still be quite streaky and patchy, and for some nails there were still some patchy areas after three coats. I would say that this is a four-coater polish, but I simply ran out of spare time to apply a fourth! 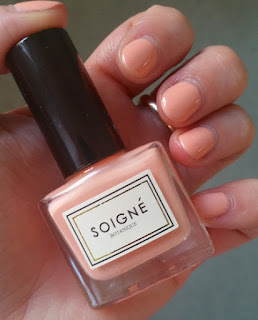 Soigne’s nail polish is definitely hard-wearing. I have been wearing this shade on my hands and feet for four days now without a single chip. You can buy a full-size bottle of Soigne's Fruit de la Passion for £11 from Birchbox. The POP Eyeshadow Trio in Peach Parfait is a small eyeshadow trio in a champagne shade, peachy shade and a bronze shade. The three colours together can work well to create a subtle smokey eye or to simply brighten them. Once upon a time, eye makeup used to be my “thing”. Nowadays though, I’m lucky if I can find time to apply my mascara, never mind eyeliner and very rarely eyeshadow! It’s because of this that I tend to save it for special occasions when I get a tiny bit of extra time to apply it. 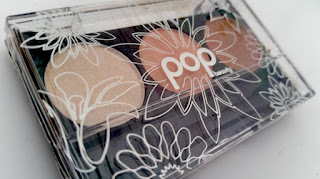 As soon as I get a chance to have a play around with this palette I will post up some photos! You can purchase a full palette of POP Beauty Eyeshadows for £15.50 from Birchbox. Pura Vida is a handmade bracelet company based in Costa Rica. You can buy your own unique combination of bracelets to fit your own style or buy pre-selected packs that fit a theme. 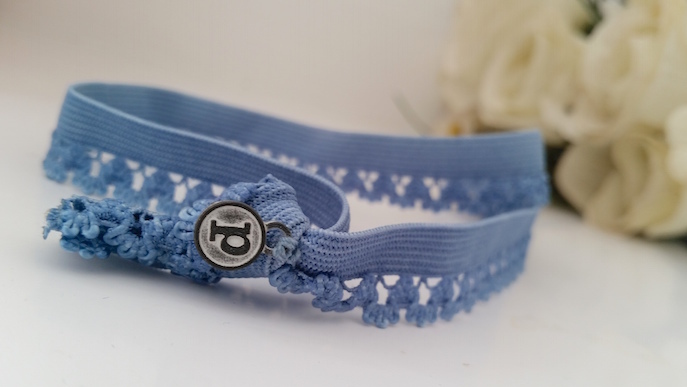 Alongside bracelets, Pura Vida also have a collection of different accessories available, such as this pretty headband. I absolutely LOVE this headband, but it does occasionally slip off my head. Honestly, I have no idea why, but it just “pings” right on off! Now I know that it’s easy at this point to come up with some big head jokes, but truthfully, my head is pretty small (at my graduation, even the smallest size mortar board was too big!). Putting that aside though, I have been getting a lot of use out of it, even though I've been told that I can't really pull off headbands (pfft!). You can buy a selection of eight Pura Vida Headbands for £11.40 from Birchbox. I was really happy to receive the Hydra bag (photographed at the top of the post) as it was by far my favourite shade out of the selection. I can find this bag coming in handy for all sorts of things throughout the summer. As far as I am aware, you cannot purchase this bag separately and will need to order the July Birchbag to receive one. I'm incredibly happy with this months box/bag overall! 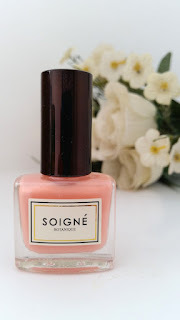 The stand out products for me this month are the Inemne Eau Genie and Soigne Nail Polish. 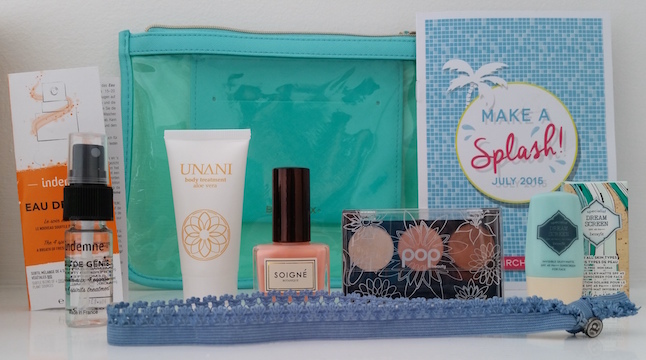 However, even the headband and the Birchbag this month are incredibly useful and pretty. As an extra treat for this month only, if you use the above link to subscribe we both receive a beautiful Stella & Dot bracelet worth £19 as well as the £5 to spend on the Birchbox store that you can receive during other months of the year!